Dissidia Final Fantasy NT is the very definition of a mixed, middling experience, though when its combat shines it produces real magic with enormous potential. It’s difficult to know how to feel about Dissidia NT, to be honest. There’s stuff it does incredibly well and other things it struggles with profoundly. This is a charming, exciting and chaotic three-on-three fighter that’s full of great nostalgia-abusing fan-service – but that doesn’t feel like quite enough to justify the package on offer here. The important thing for Final Fantasy fans to know is that this isn’t really a full-blown follow-up to Dissidia on PSP. Those games were more deeply invested in the Final Fantasy side of things, featuring deeper RPG mechanics, a lengthy story mode and a much larger wealth of character customization as is befitting the Final Fantasy series. This is a fighting game – simple as that. If you put FF-shaped expectations around story and RPG customization to one side, Dissidia is an exciting and weird little gem of a fighting game. Dissidia NT is a port of an arcade game that’s been knocking around coin-op locations in Japan for a few years now, and so as you’d expect it has next to no focus on role playing as a result. Rather than leveling up a character and unlocking a plethora of their moves there’s instead a handful to choose from, and generally speaking the additions atop the content from the entirely versus-focused arcade release are pretty slim. The structure of the story mode is perhaps the best way to absolutely demonstrate how bare-bones this release feels for RPG fans. Rather than a story mode that you actually play through, sequentially Square Enix and developer Team Ninja have opted for a story that’s unlocked gradually by playing in more traditional fighter modes. As you fight you earn a currency, ‘Memoria’, that’s spent to unlock cinematics and on occasion an actual story-driven battle scenario. For the most part the story mode in the menu is essentially a cutscene viewer, the player tasked with grinding out Memoria in traditional battle modes in order to unlock the next bit of the story. The story sequences you unlock are well crafted and full of moments with characters who align in interesting forms and interacting in ways that’ll be sure to make fans melt with excitement, but the method of delivery leaves a lot to be desired. Sometimes the best choices are hidden in small places, like the character quotes that can be used prior to battle. There’s some great writing in here, with characters well represented and lovingly recreated. 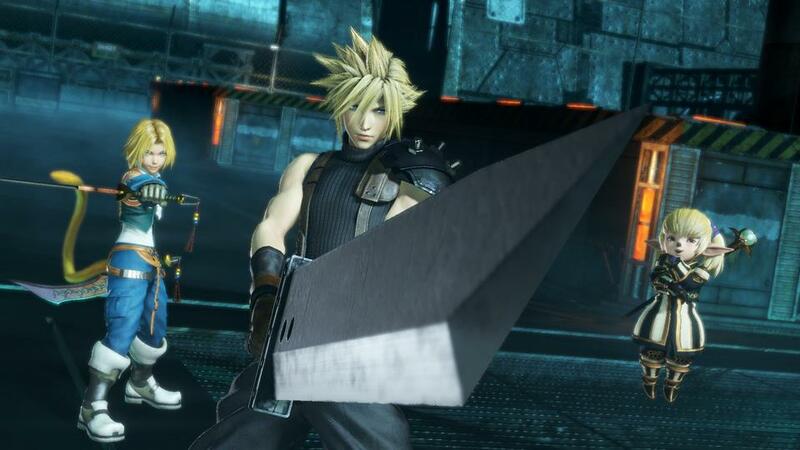 Basically, for a little shot of fan-service Dissidia NT is great, but FF fans after an experience that feels entirely series-appropriate within its game mechanics or a deeper universe-breaking cross-over story will be left wanting compared to the PSP games. It’s rough enough for a game like a Street Fighter 5 to lack story and single-player content, but for a fighter spun-off from an RPG the lack feels less like an oversight and more like a chasm of missing content. I thought Persona 4 Arena’s visual novel style story mode was tedious and the story mode in the PSP Dissidia games left much to be desired, but crucially those modes were present and sizable for fans who wanted something more than fighting. One place I wish they’d leaned into the less-story thing harder is the character roster. There’s currently 28 characters with that rising to 34 with the season pass DLC, and the first 10 FFs follow a one hero, one villain scheme. This made sense in the story-focused PSP games where the villains provided a set antagonists but in Dissida NT story hardly matters, and thus one has to question how relevant some of the villains are. The likes of Sephiroth, Kefka and Jecht are obviously classics, but would any FF8 fan pick Ultimecia over Laguna, Rinoa or even Zell? I’m not convinced. Does anyone actually care about FF2’s Emperor? These character slots, initially dictated by the story, almost feel a little wasted, like they could’ve gone to more iconic characters over some of the more forgettable villains. If you put FF-shaped expectations around story and RPG customization to one side, however, Dissidia is an exciting and weird little gem of a fighting game. Again, it’s less like its PSP predecessors than you might think, having a strong resemblance to the hugely successful Gundam Versus arena fighters as well as to the core combat mechanics of the original Dissidia. For a little shot of fan-service Dissidia NT is great, but FF fans after an experience that feels entirely series-appropriate within its game mechanics or a deeper universe-breaking cross-over story will be left wanting. It’s a much more chaotic experience than the previous games, and one might argue that this is the first big-budget, HD Final Fantasy game to ever truly jettison the idea of being easily accessible for players more comfortable with turn-based battles. 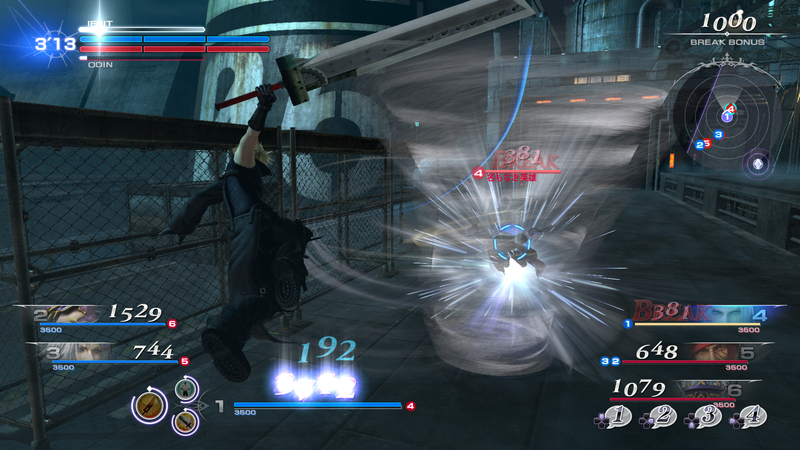 Those players could arguably muddle through the PSP Dissidia or the button-holding combat of FF15, but this is a full-blown action game, and one that despite a newly streamlined user interface is still unforgivingly complex and difficult to initially understand. Just how erratic combat can feel serves to make Dissidia NT difficult to love, but like any fighting game once you understand it and the game snaps fully into focus it becomes clear how special and intricate its systems are. It’s a game that’s ultimately all about that three-player team composition, with characters able to play off each other in unique and interesting ways to create a more formidable unit. Given that lives are shared, players are encouraged to look after each other with proper, back-covering teamwork. Some of FF’s most classic moves are recreated with a loving finesse, and combat looks a treat in all its manic, flashy splendour. Summons are a stand-out, no longer just a flash of artwork like on the PSP but now well-realized beasts that roam across the battlefield and crop up in some of the story battles. Enough of the original PSP design remains in combat that fans who enjoyed it will find it similar, and while I’m still not entirely convinced that six-player battles was the way to go one can’t deny that it works well. Given that the original arcade machine straight up featured a PS4 controller facsimile the controls are comfortable and intuitive, with the only stumbling block a fiddly but manageable lock-on system. Much of Dissidia NT reminds me of the original release of Street Fighter 5, then – a game with excellent fighting fundamentals that elsewhere is downright puzzling. The options for single-player focused fans are limited, the story basic, and the online sadly pairs that excellent combat with hit-and-miss netcode that, when it breaks, becomes an unplayable slideshow rather than a simple frustration. Matchmaking takes ages too, and I’m not entirely sure if that’s because there’s something wrong or if it’s because not that many people are online, but either is fairly disappointing. It’s pretty rough when a fighting game focused YouTuber paid by Square to promote the game spends more of his twitch stream waiting for matches than actually playing, but that’s all too often the current reality. These nagging complaints hang heavy around Dissida Final Fantasy NT, but the important thing is that it’s still a really exciting, interesting and different fighter. 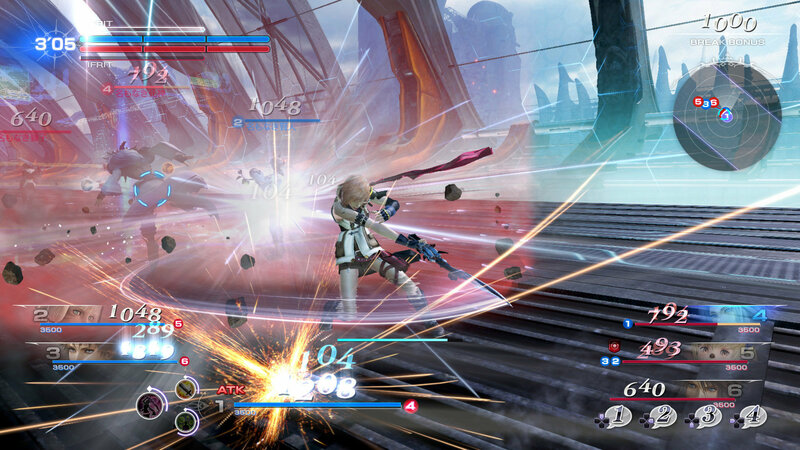 That last bit is crucial – despite similarities to the Gundam games, there’s nothing else quite like Dissidia on the market, and some will certainly find themselves hooked on its unique, hectic type of battle. If you’re willing to ride on through its uninviting initial hours and can accept that it’s a more clear-cut fighter than anything like the more role playing focused PSP games, you’ll be in for a treat. With those caveats in mind, those who do make the investment will be satisfied.